Edwards, CO, August 17, 2018 — Healthcare facilities must comply with evolving operational mandates from the CMS, the Joint Commission, and other regulatory/accreditation bodies. Not only must they be in compliance, they have to document performance levels. Two companies that help hospitals achieve this within multiple operational areas have collaborated on an interface of their respective online applications to deliver a powerful, comprehensive solution that will help healthcare facilities operate in accordance with best practices, regulatory standards, and optimal maintenance management. EQ2’s advanced HEMS® (Hospital Equipment Management System) CMMS software addresses emerging needs of healthcare facilities in areas such as asset management, dashboard analytics, maintenance, and compliance (including AEM management). The EQ2 and oneSOURCE interface results in an extremely robust and affordable solution to help ensure optimal healthcare facility maintenance management, operational safety, and compliance. The two companies are hosting a Demonstration Webinar: August 22, 2018 at 8:00 am PST, 9:00 am MDT, 10:00 am CST, 11:00 am EST. Click here to view the archived recording of the Webinar. With oneSOURCE document site, www.onesourcedocs.com, healthcare facilities gain access to an online, electronic binder of manufacturers’ validated instruction for use documents. A search engine provides multiple paths, i.e., general model number, manufacturer, key word to all needed documents and manuals. oneSOURCE Document Site’s Biomedical Database of manufacturers’ maintenance and service manuals for preventive maintenance of equipment helps HTMs prepare for CMS accreditation requirements. HEMS was developed at the University of Vermont in 1983 as a collaborative effort of the University of Vermont, ASHE (American Society of Healthcare Engineering), and the Kellogg Foundation. In 1993, EQ2 was created in Burlington, VT to commercialize HEMS and all of its associated products. 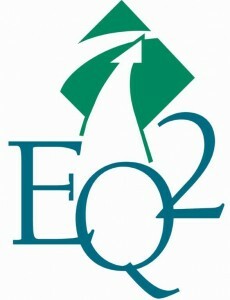 EQ2 has offices in Charlotte, NC and Camarillo, CA. See www.eq2llc.com for more info.